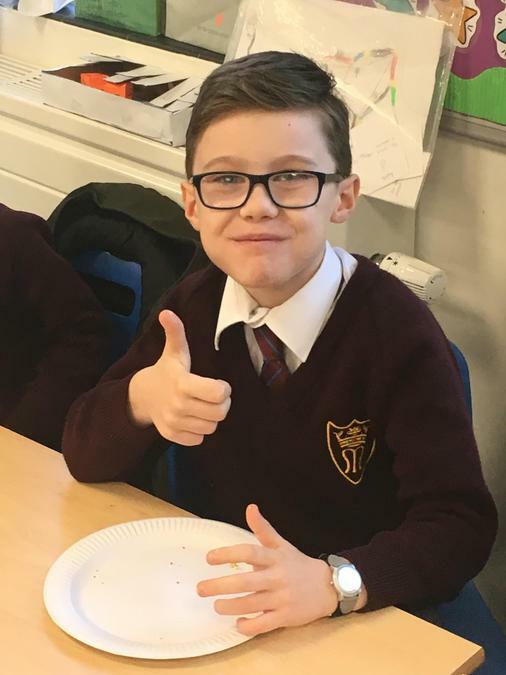 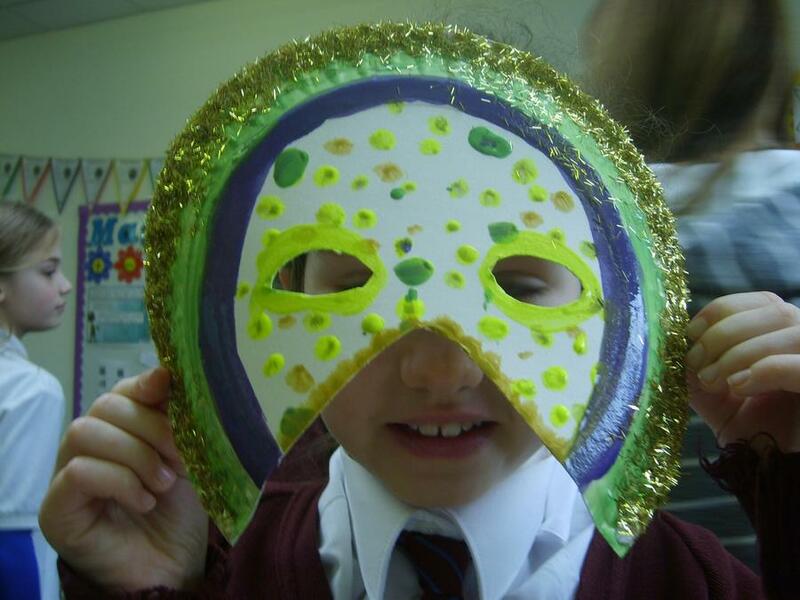 Today, across the whole school, we have been celebrating the end of Mardi Gras and Shrove Tuesday. 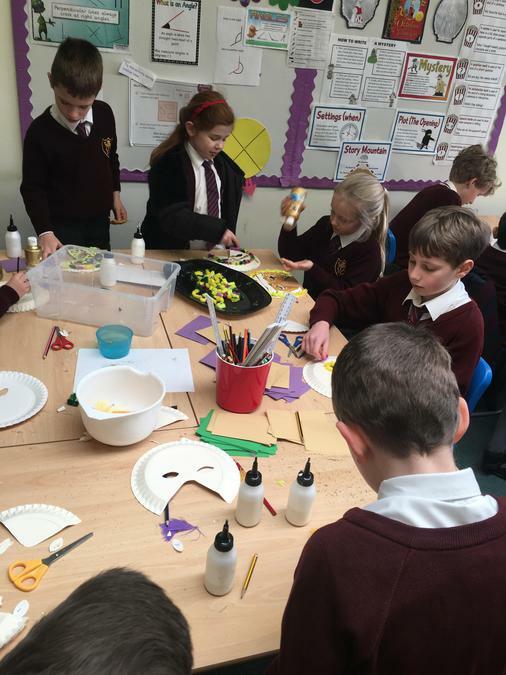 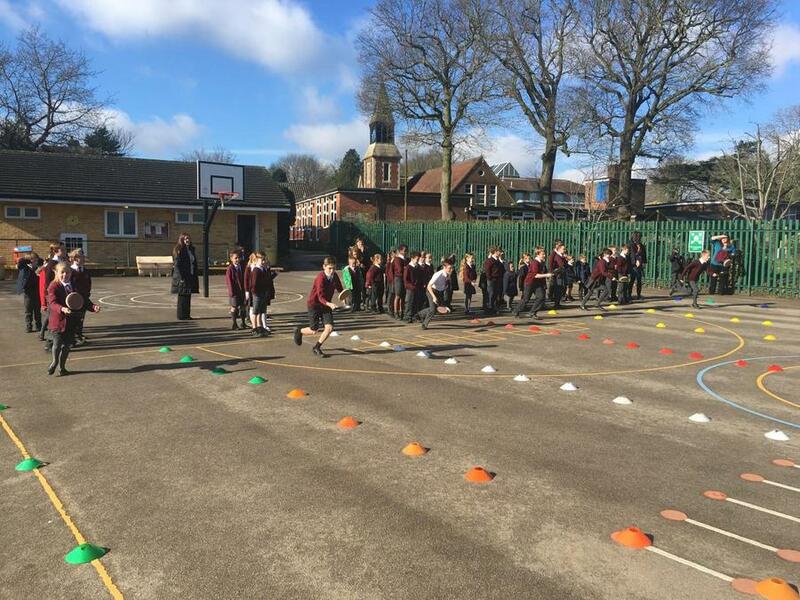 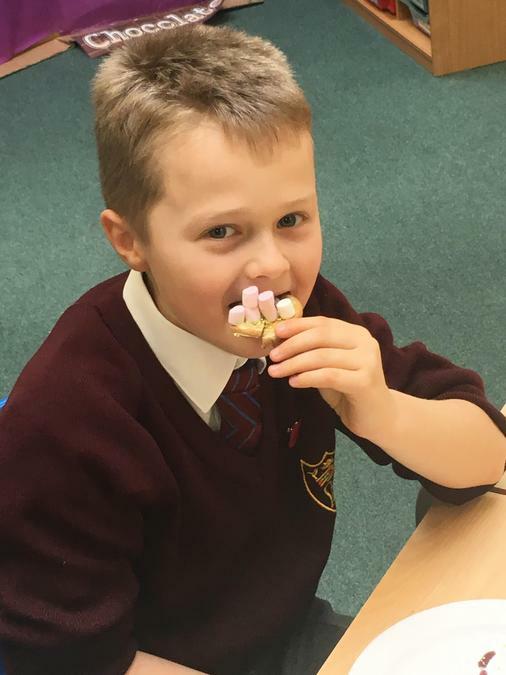 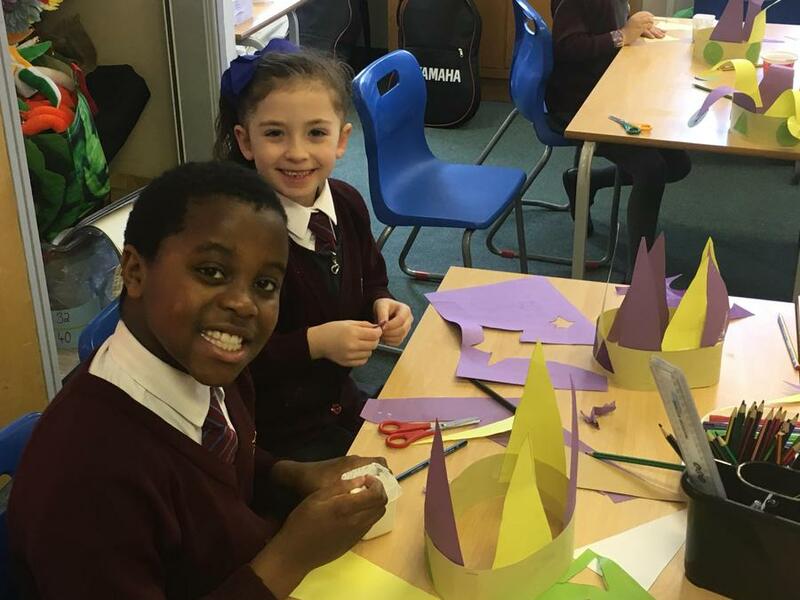 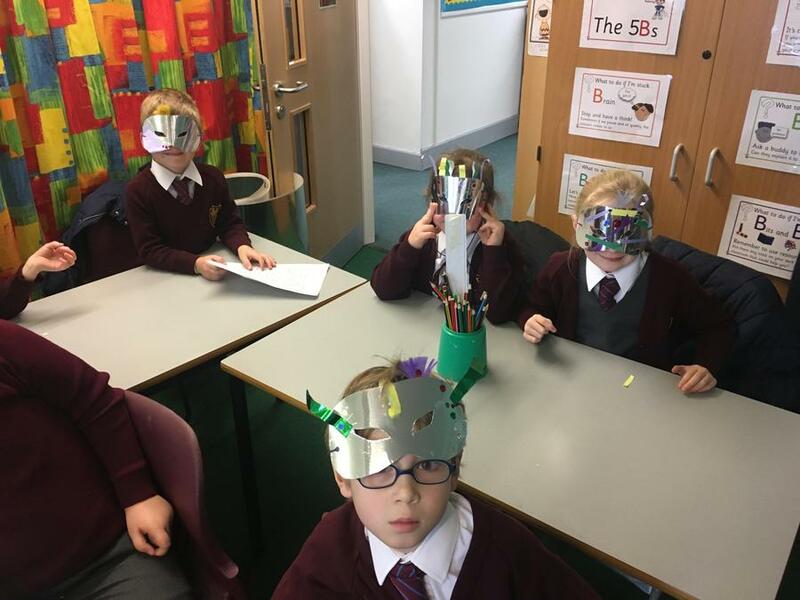 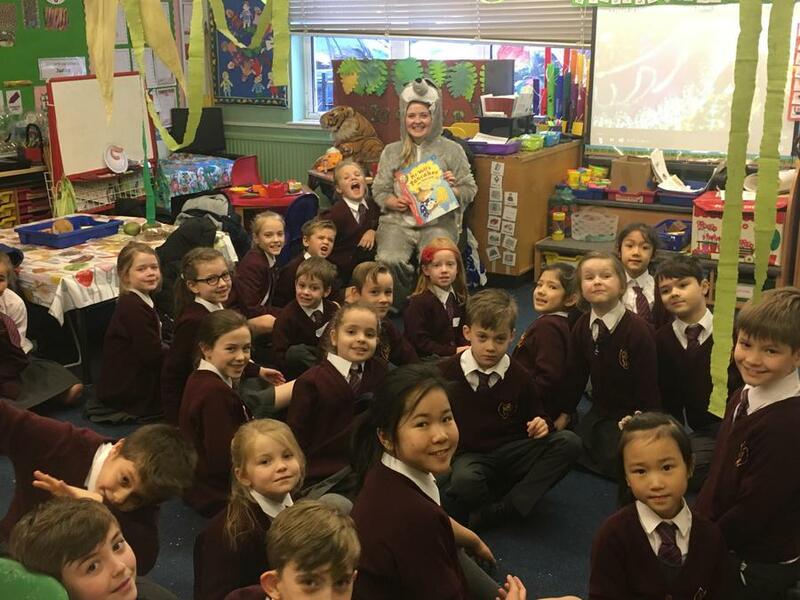 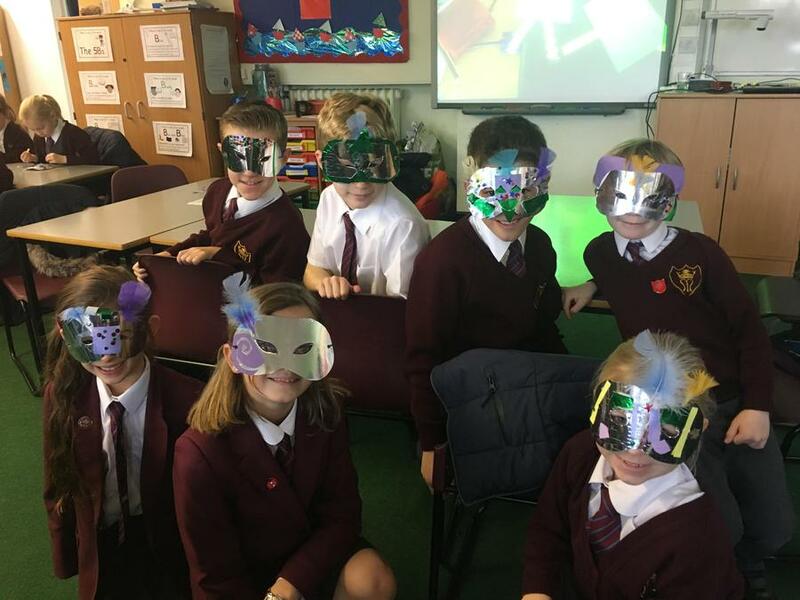 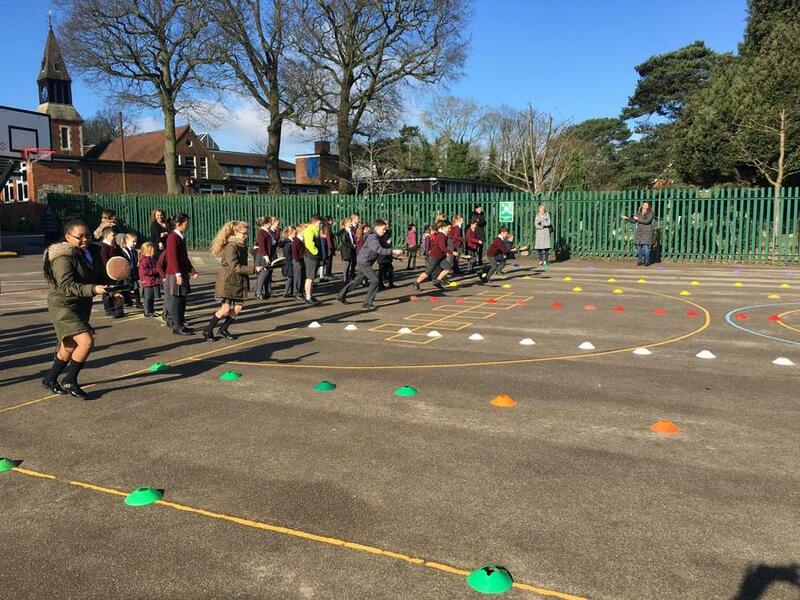 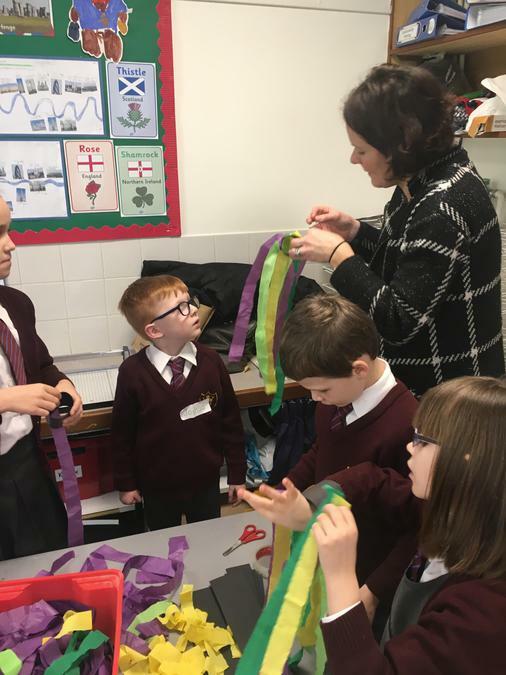 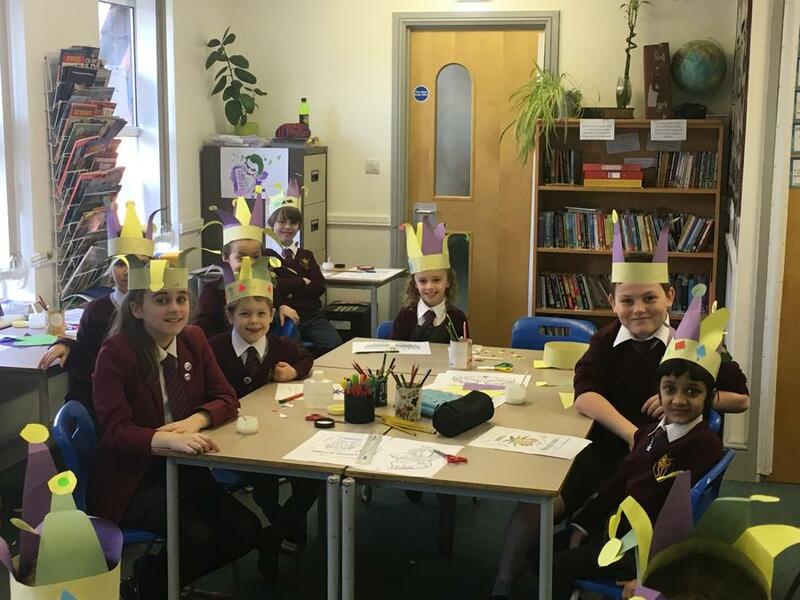 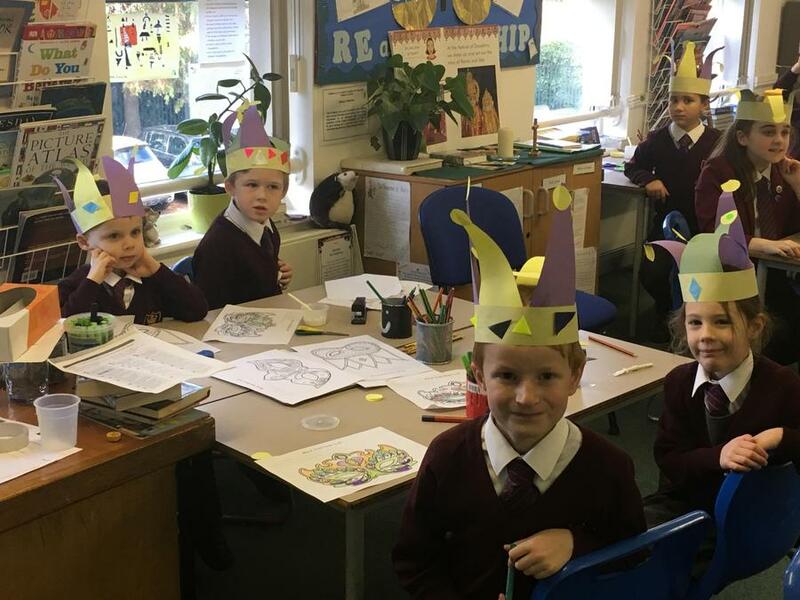 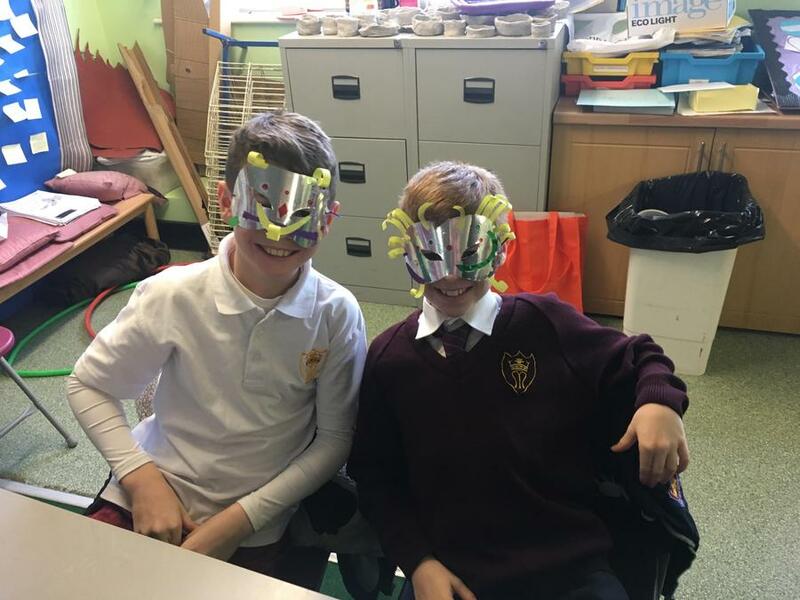 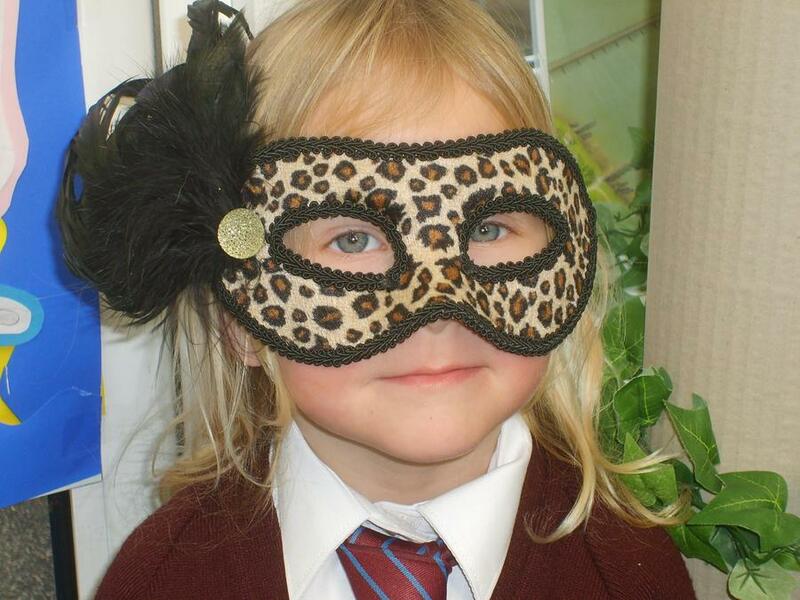 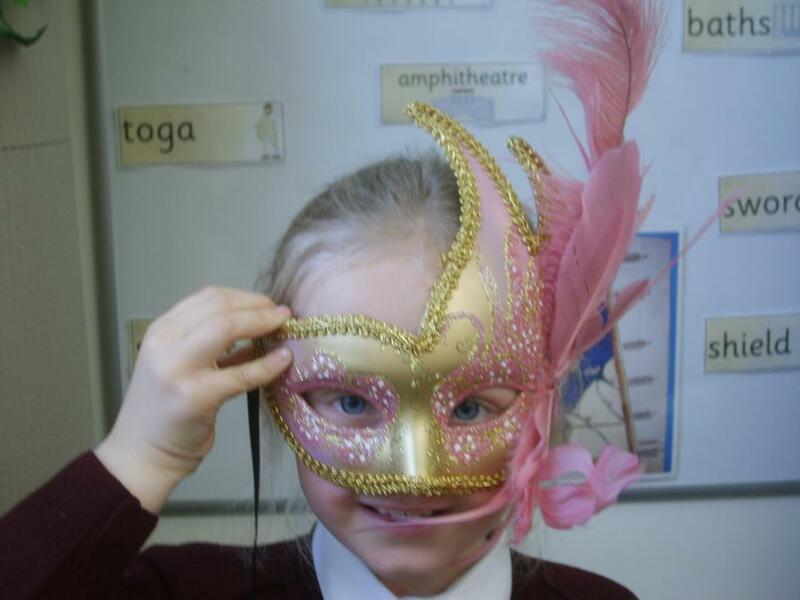 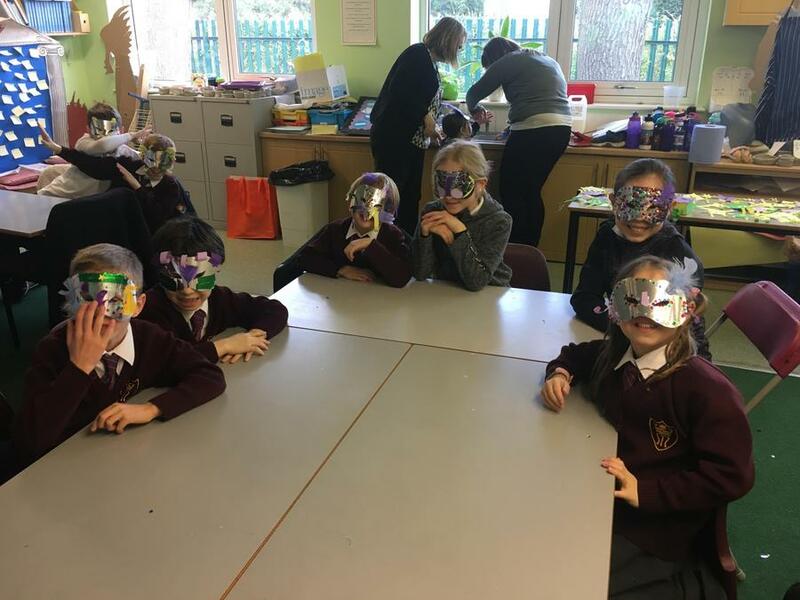 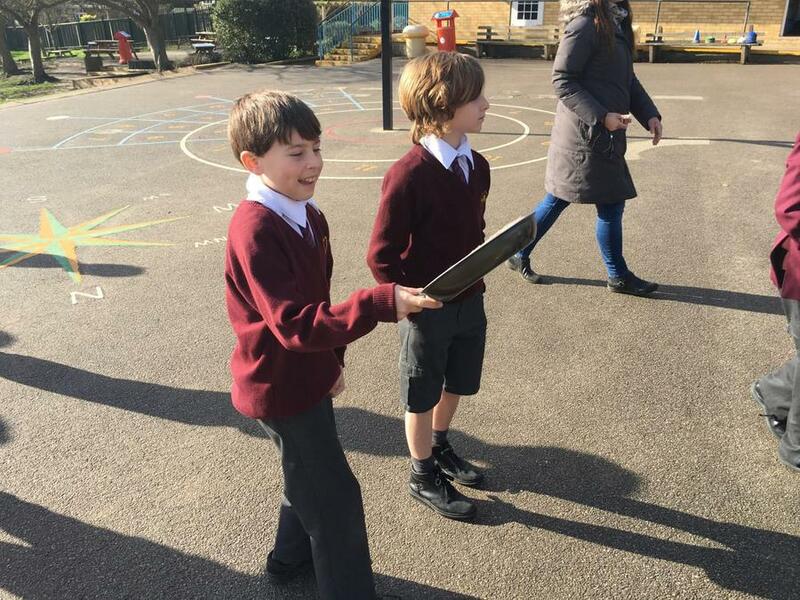 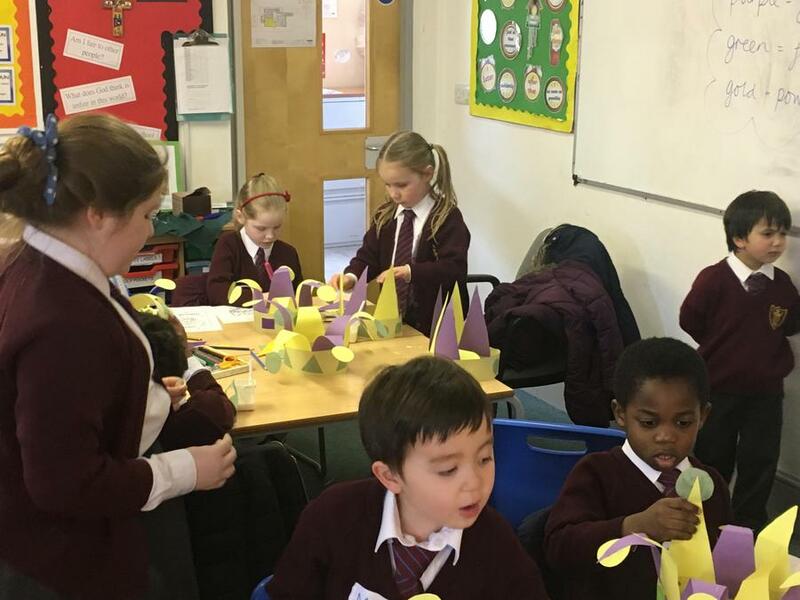 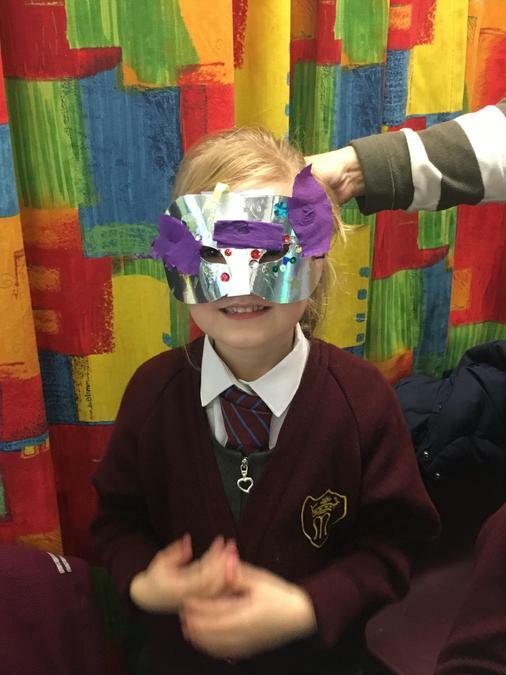 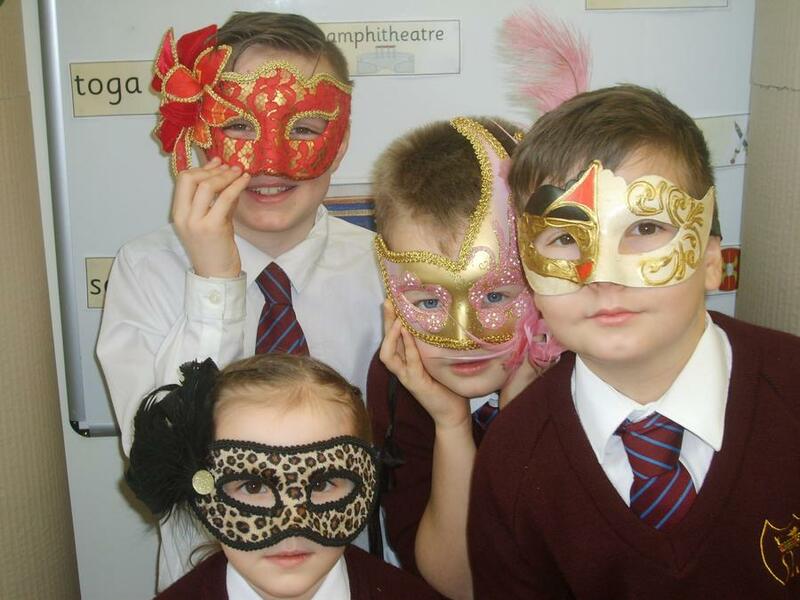 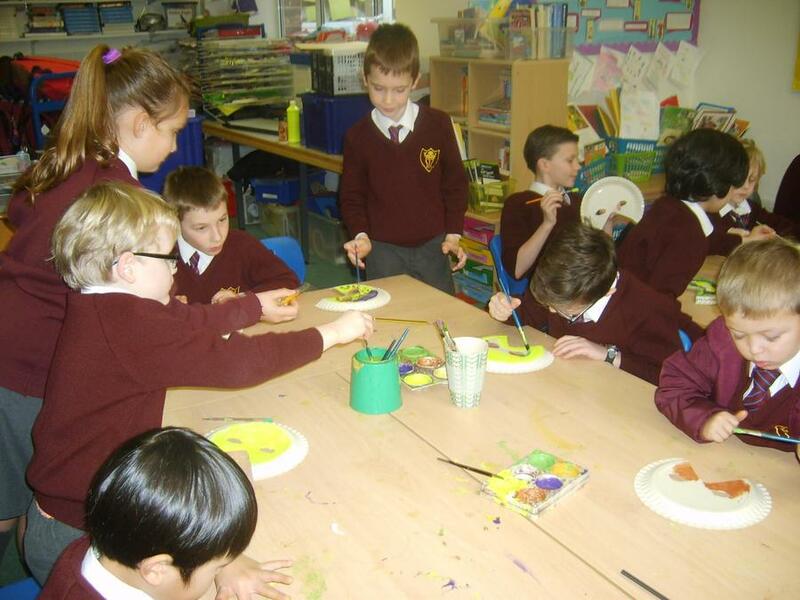 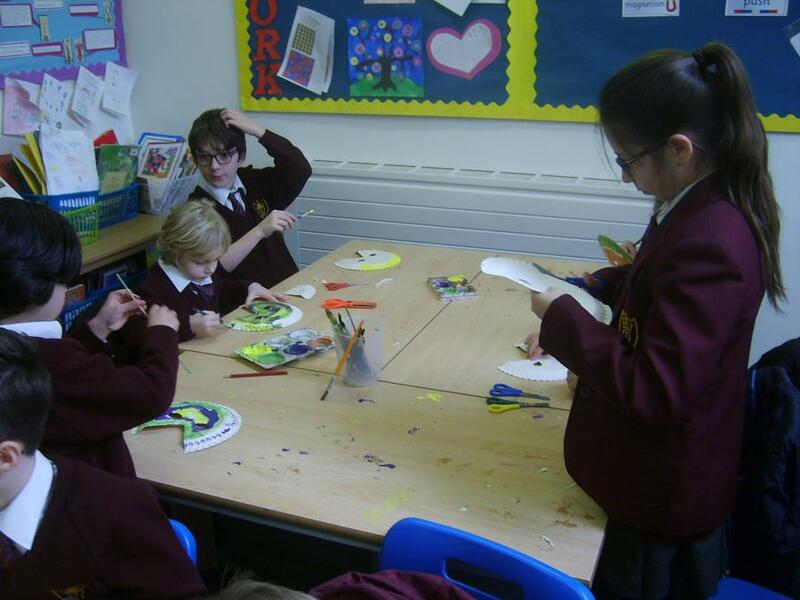 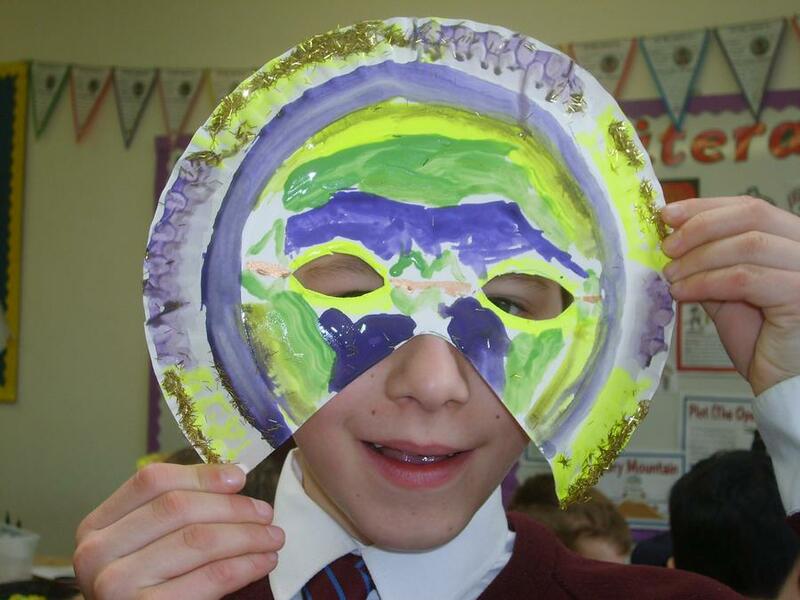 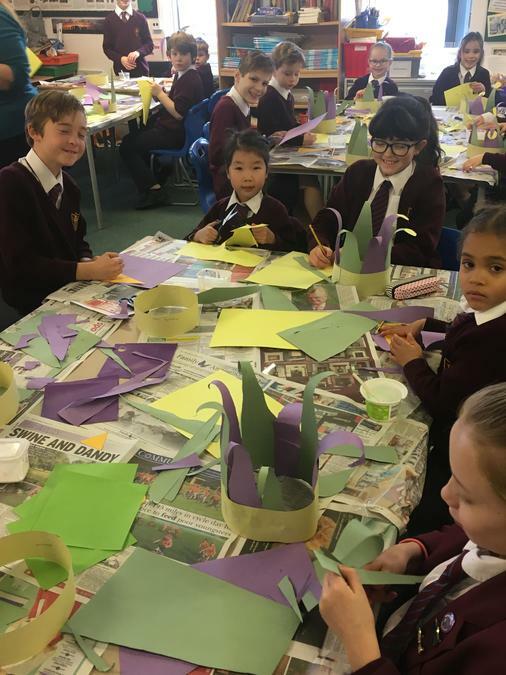 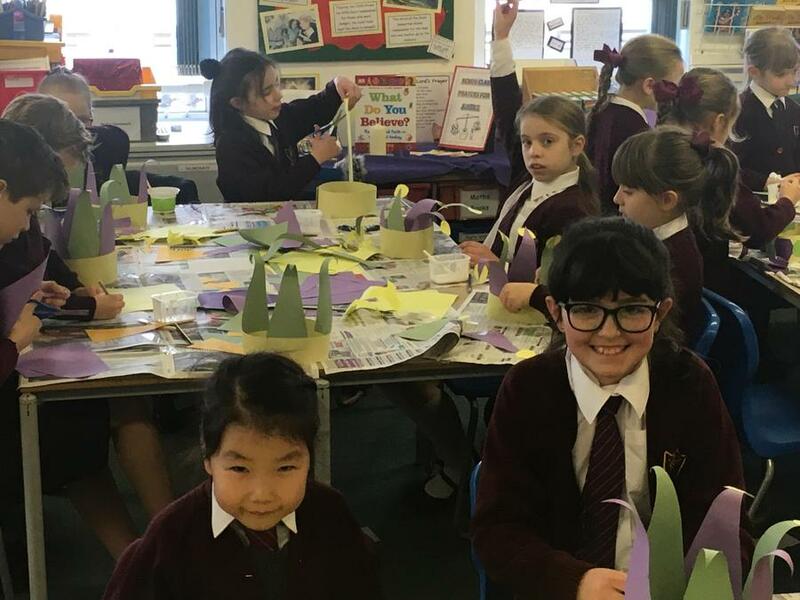 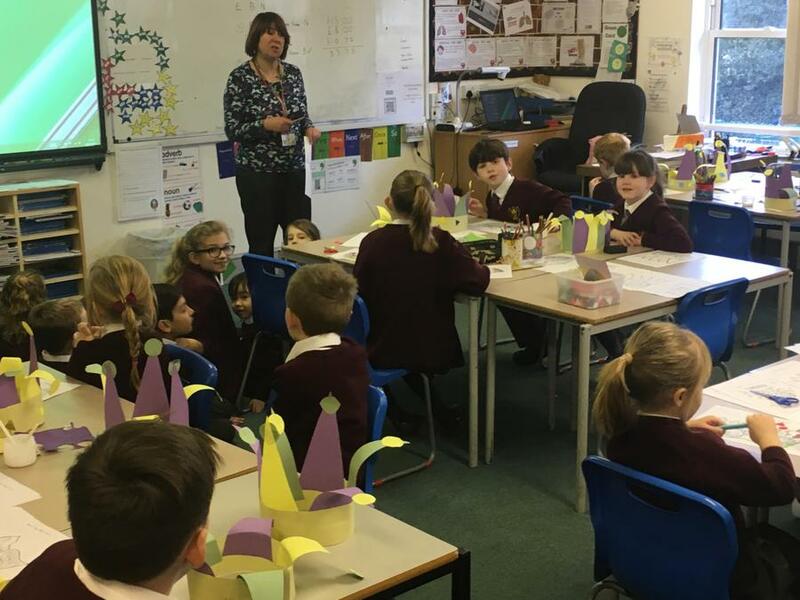 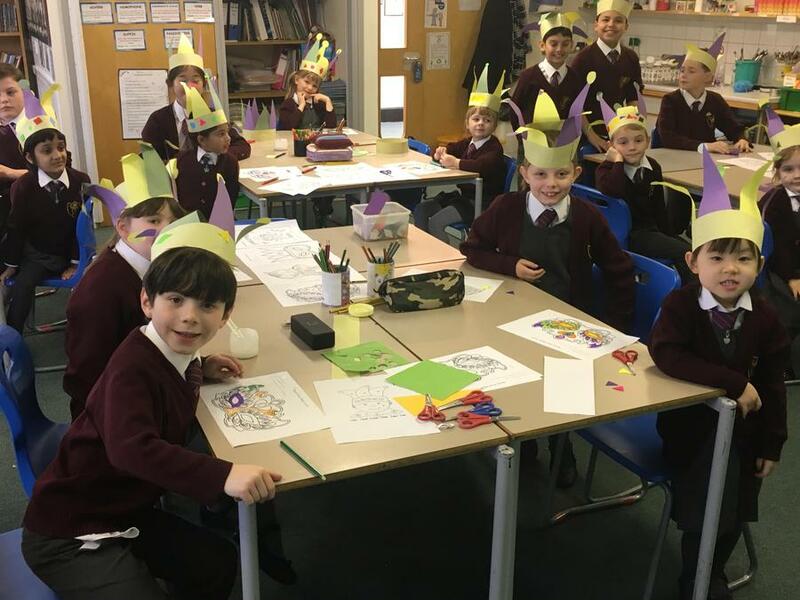 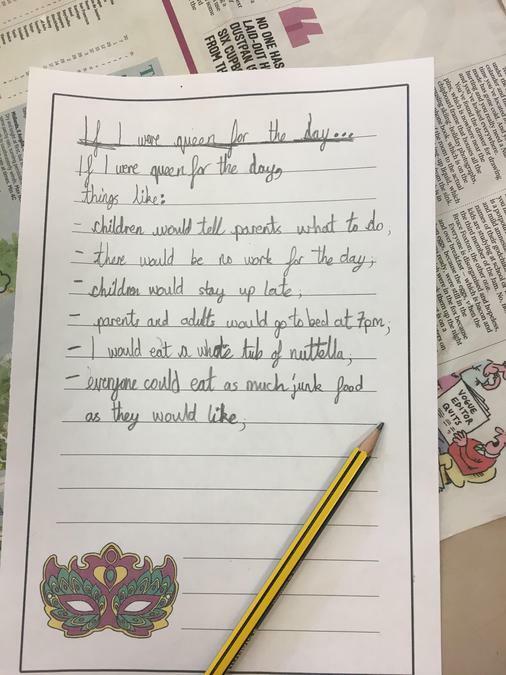 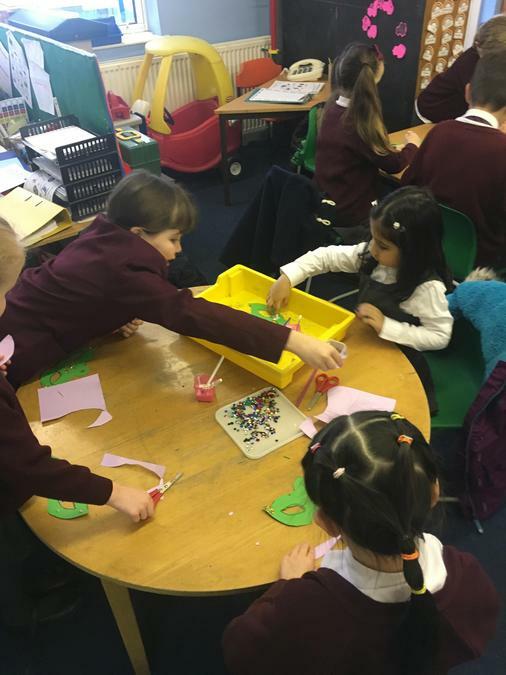 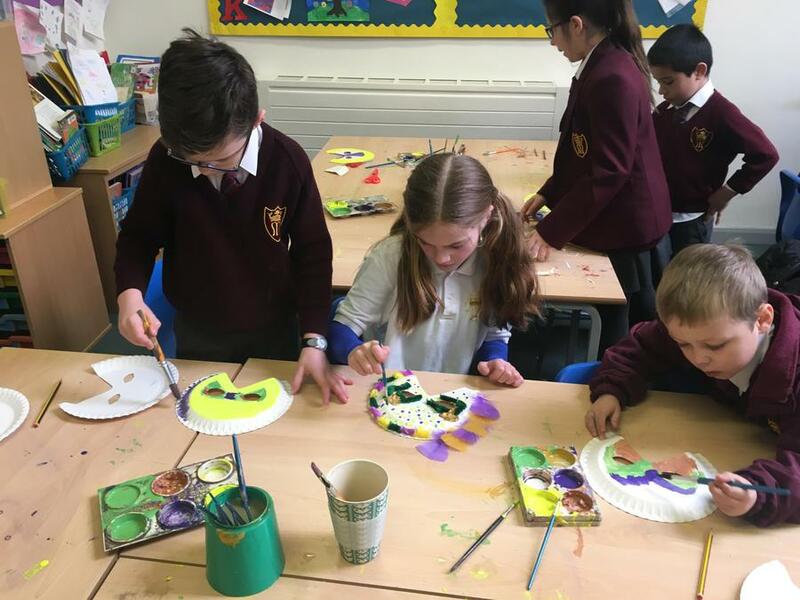 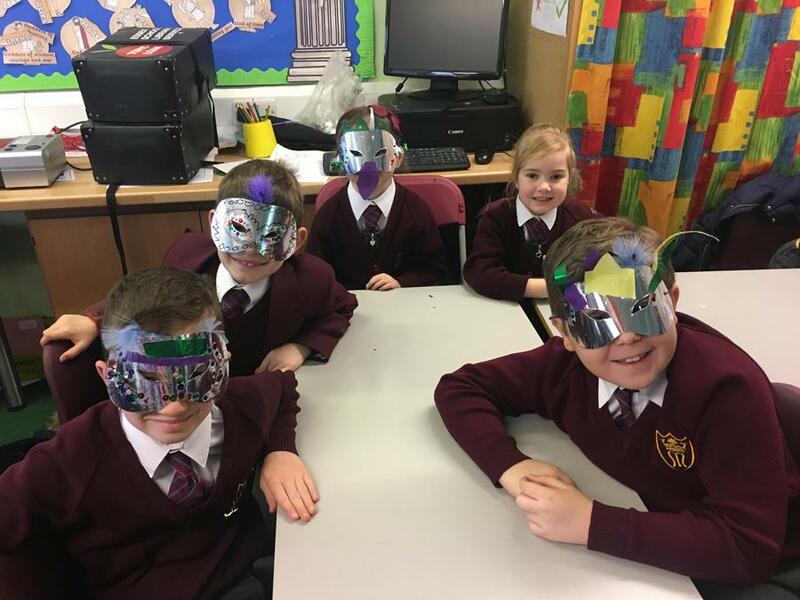 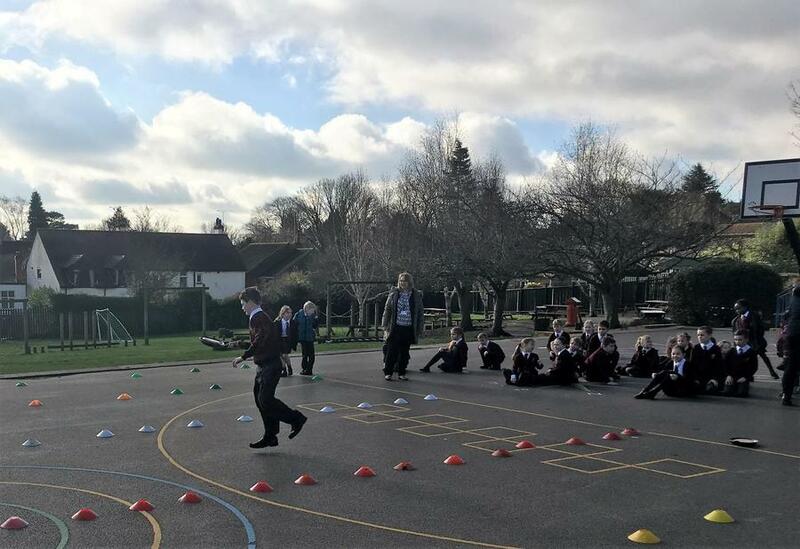 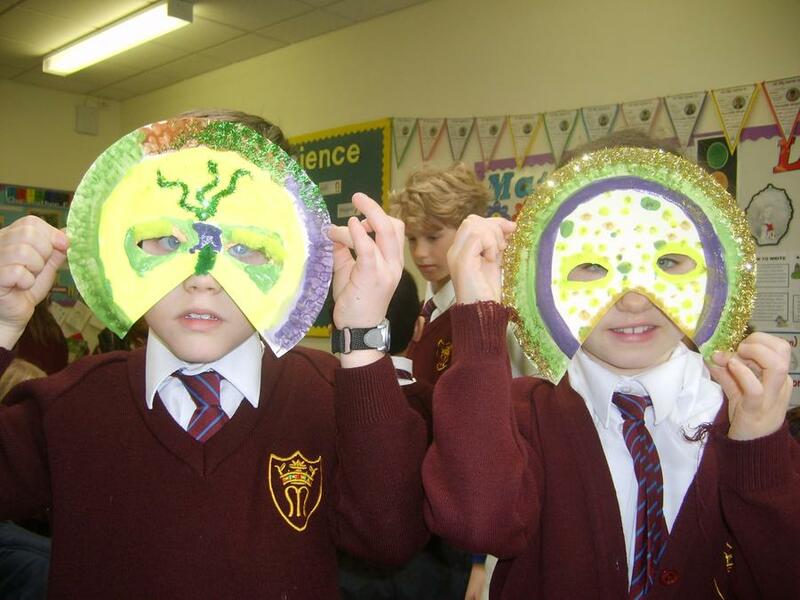 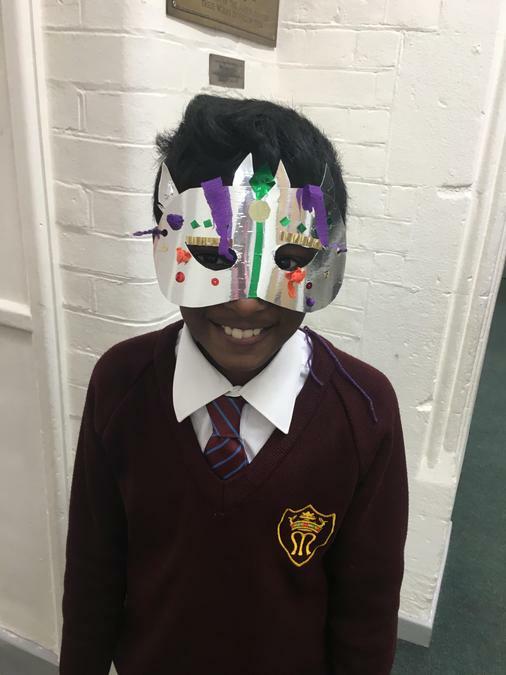 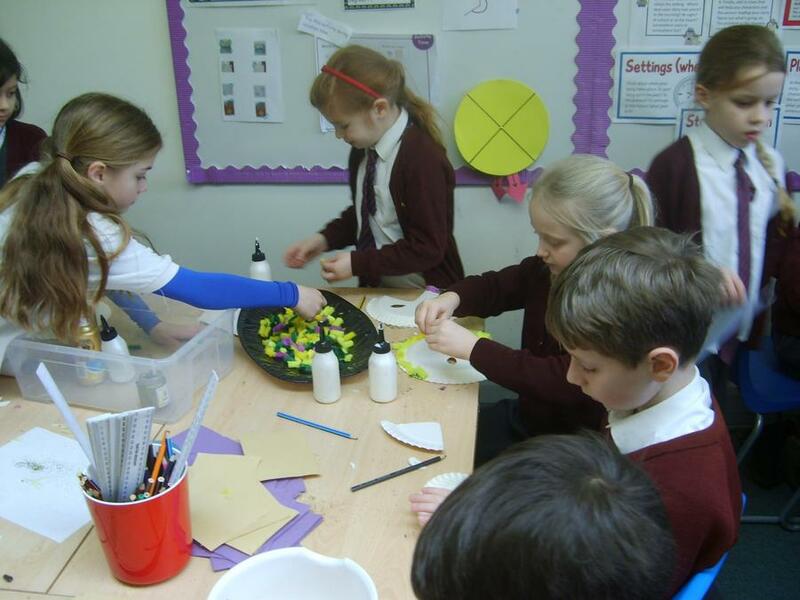 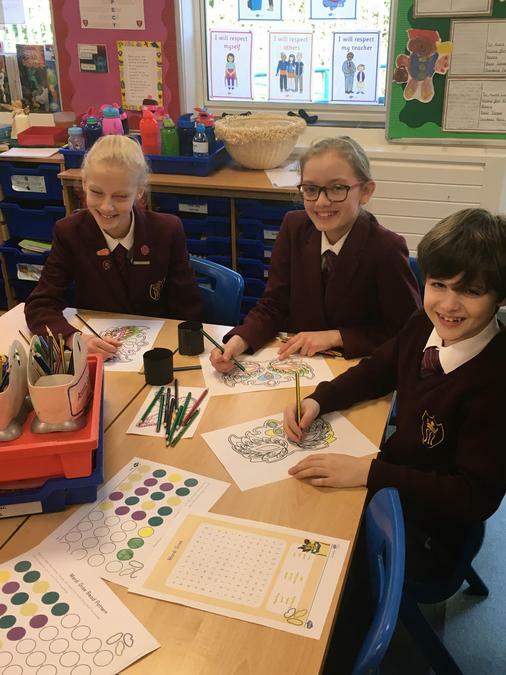 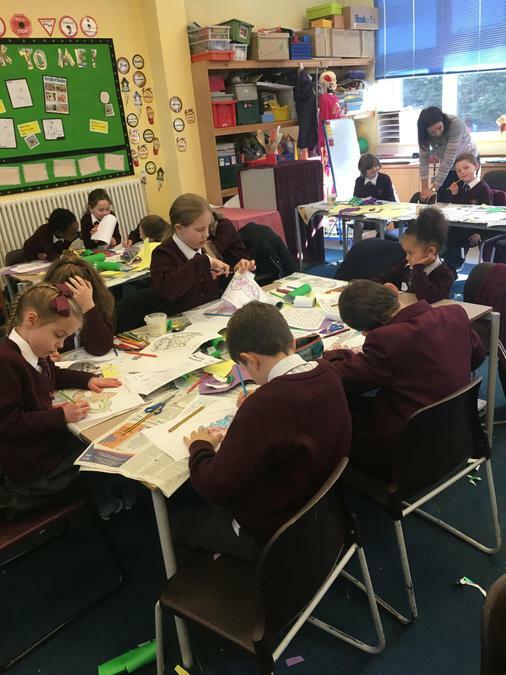 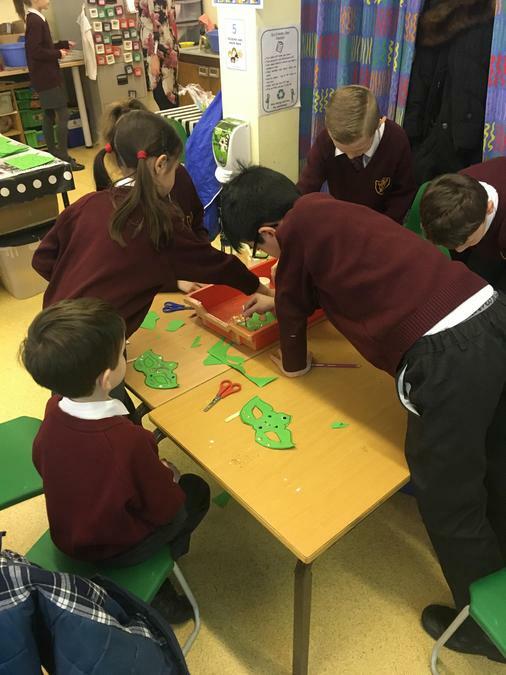 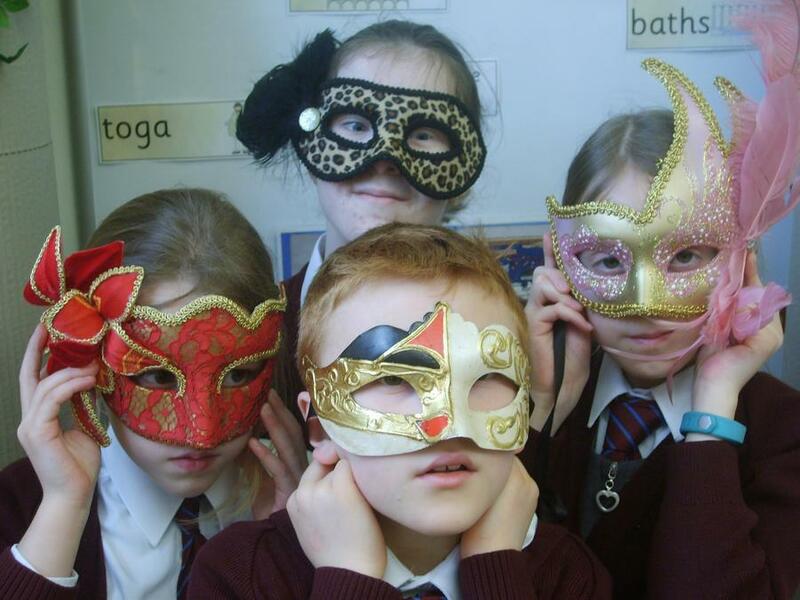 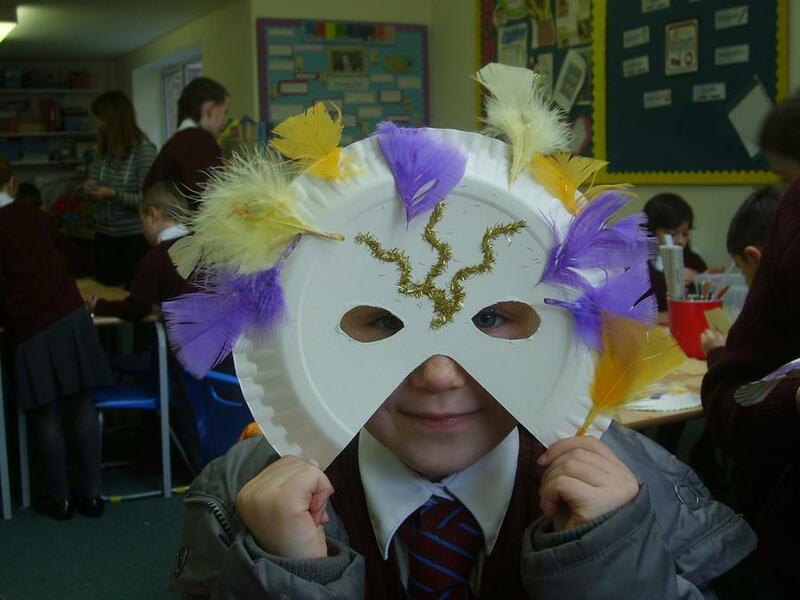 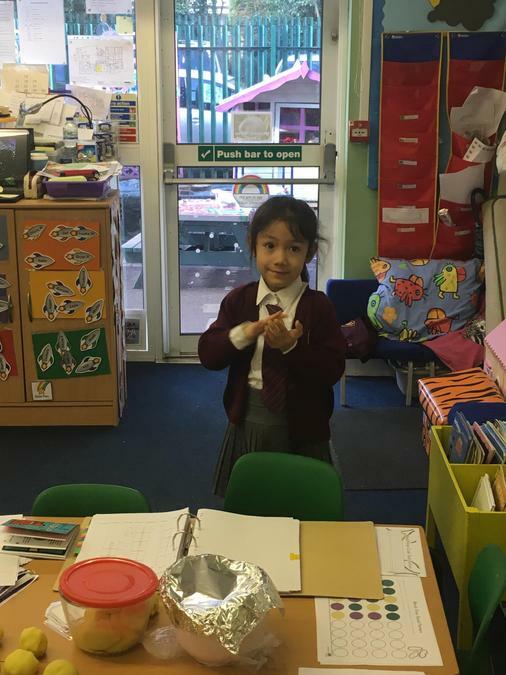 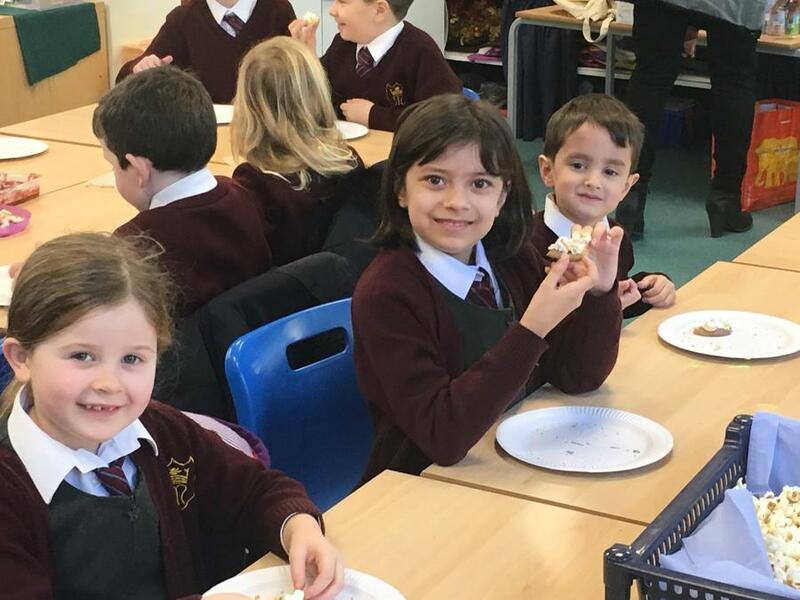 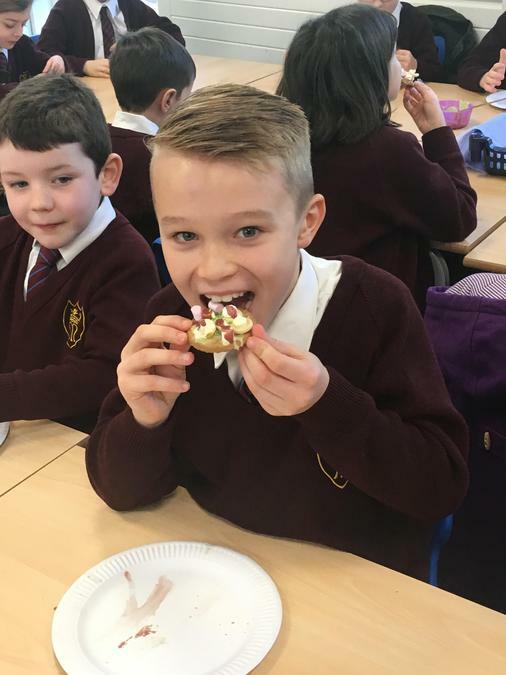 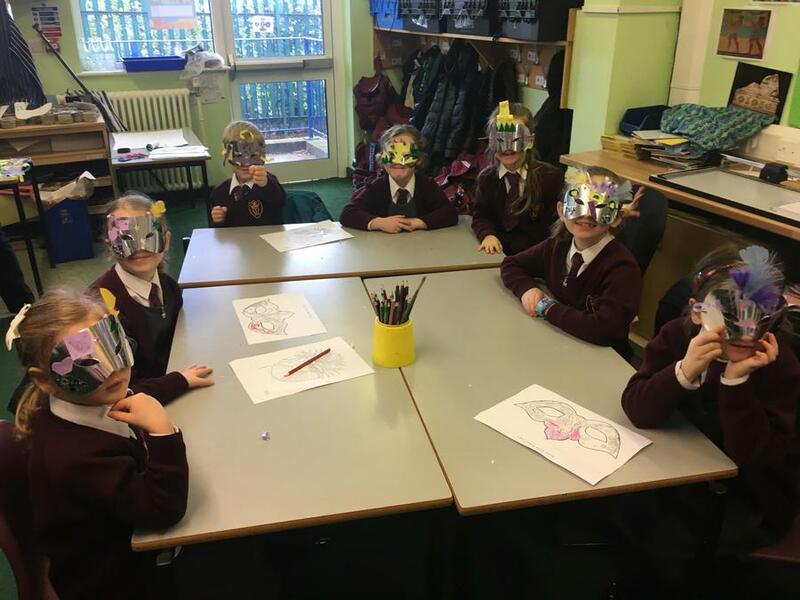 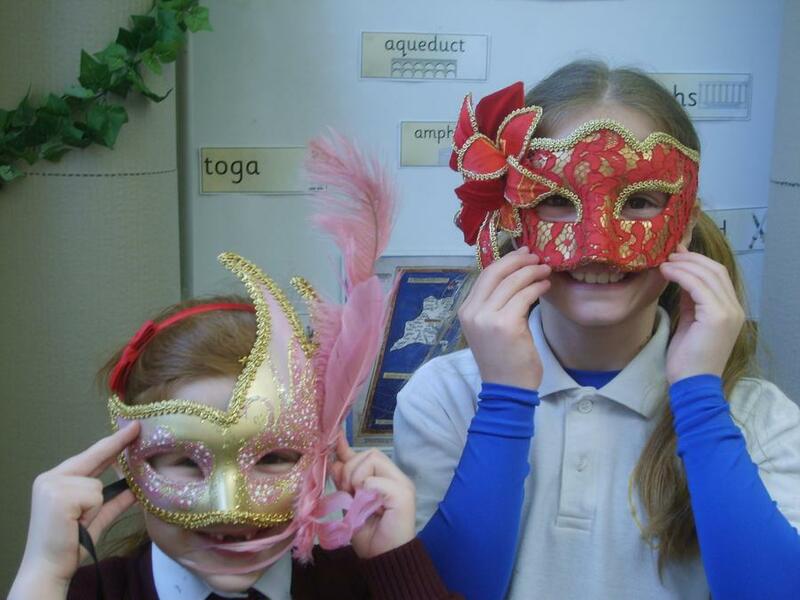 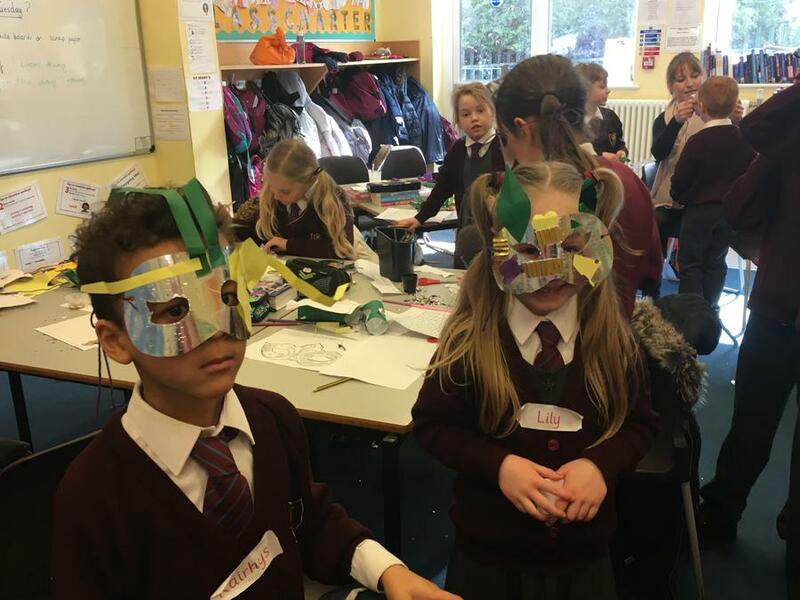 The children have been learning about why Mardi Gras is celebrated across the world by Christians and joining their celebrations by participating in a range of activities. 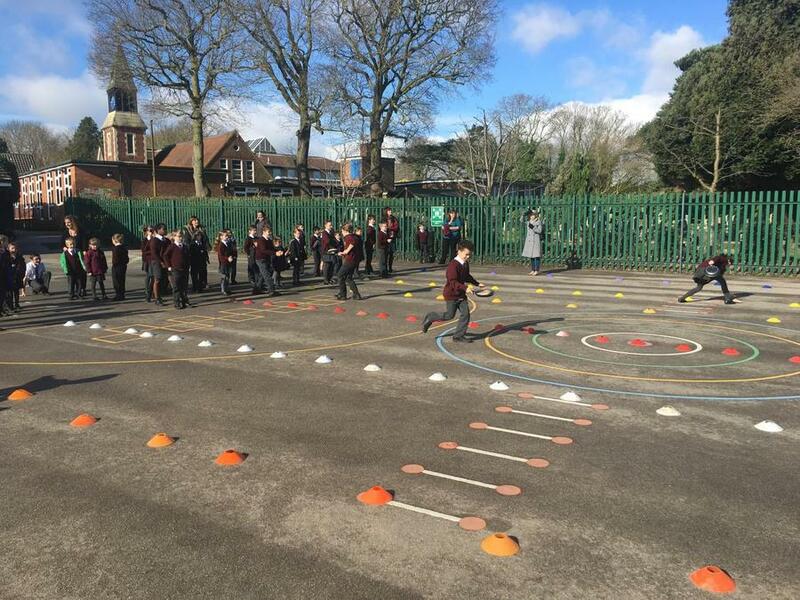 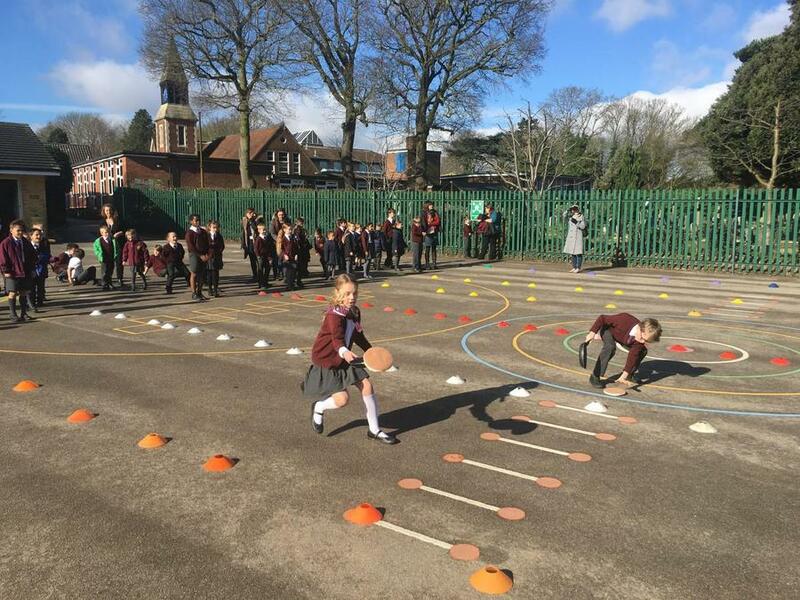 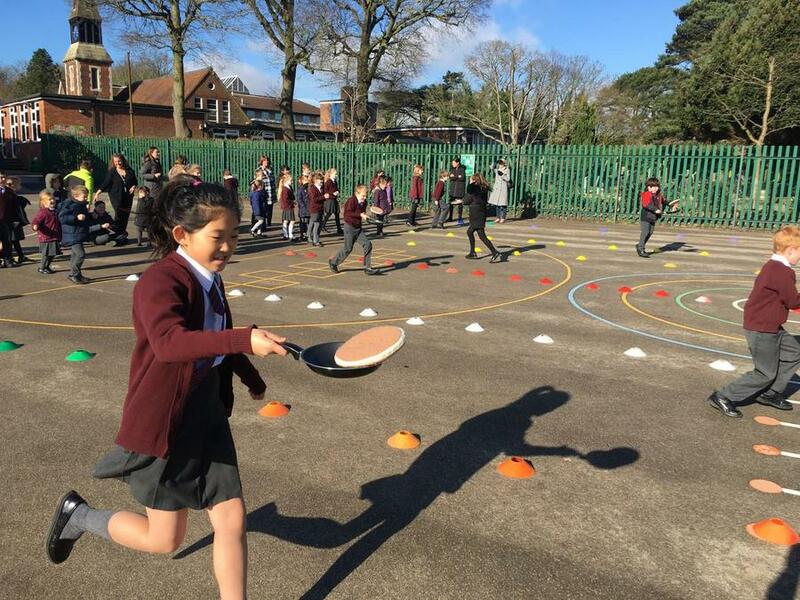 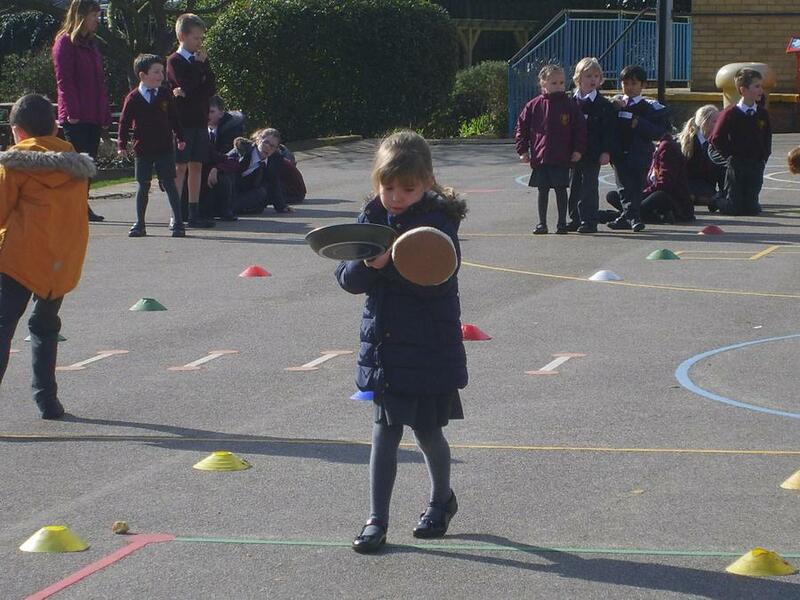 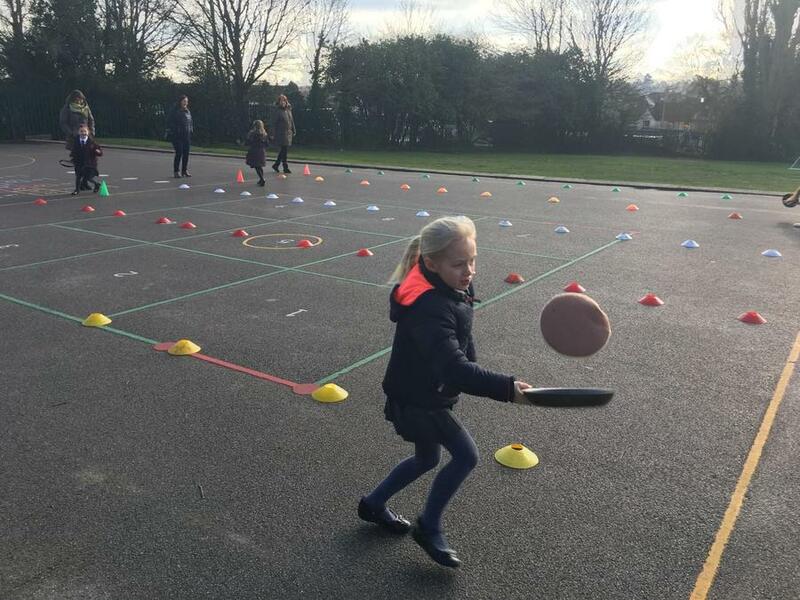 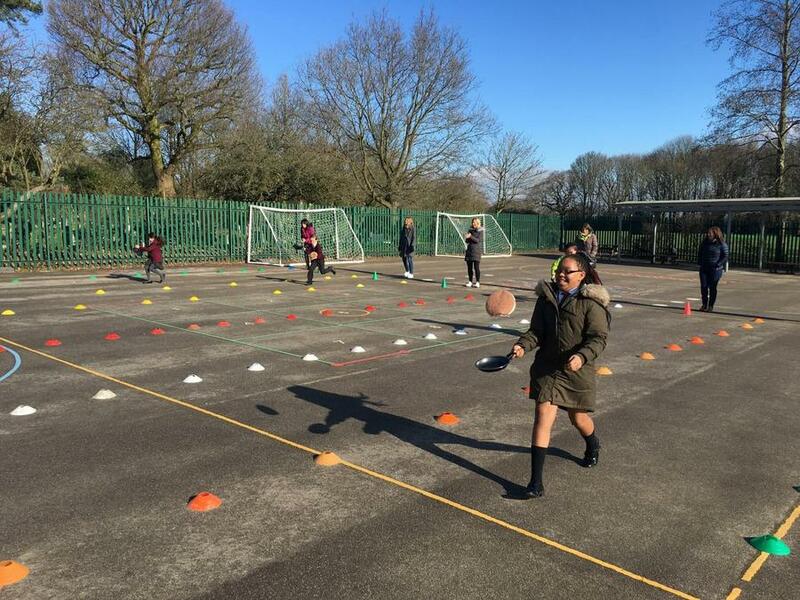 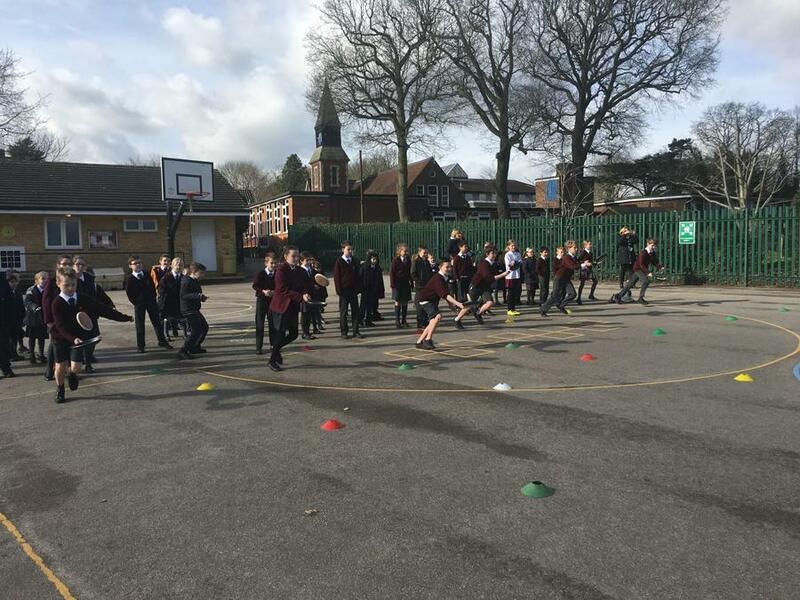 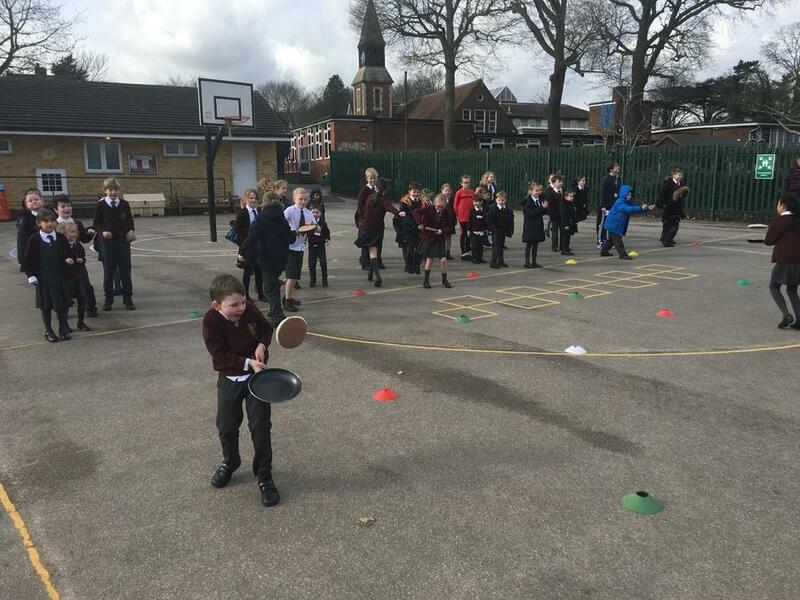 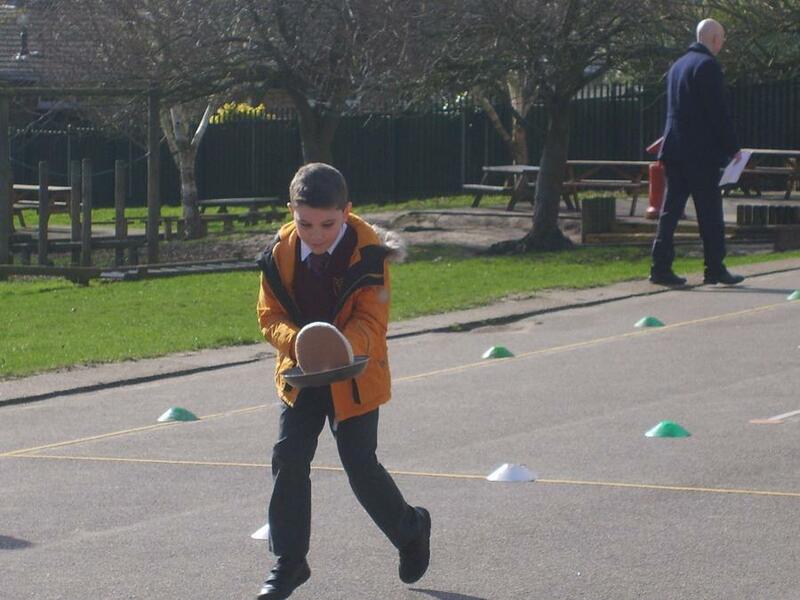 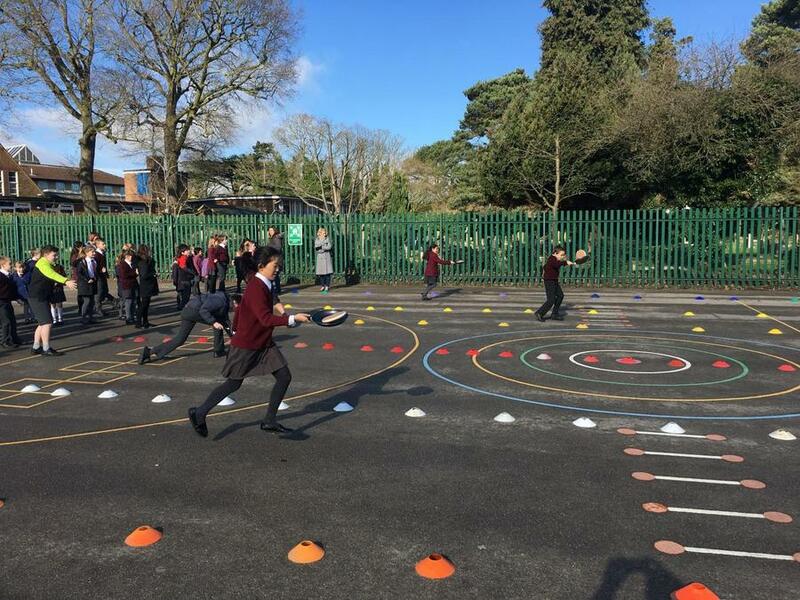 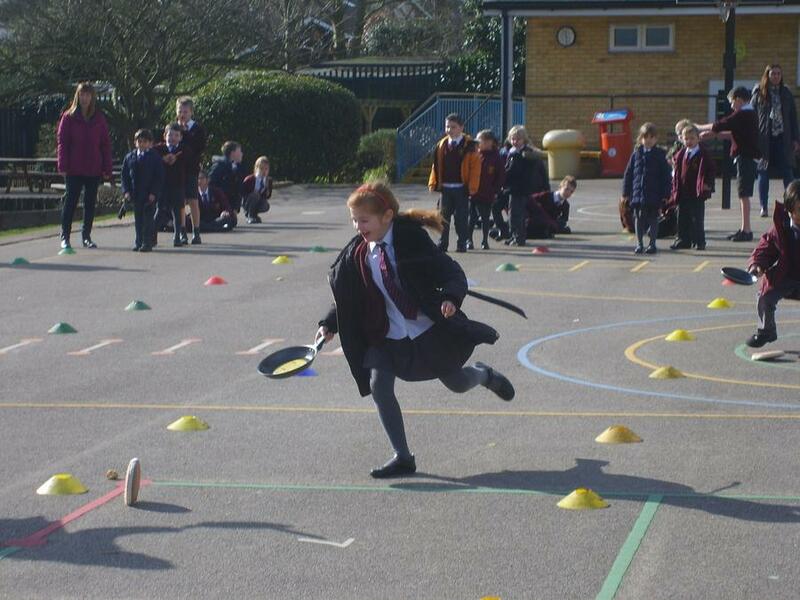 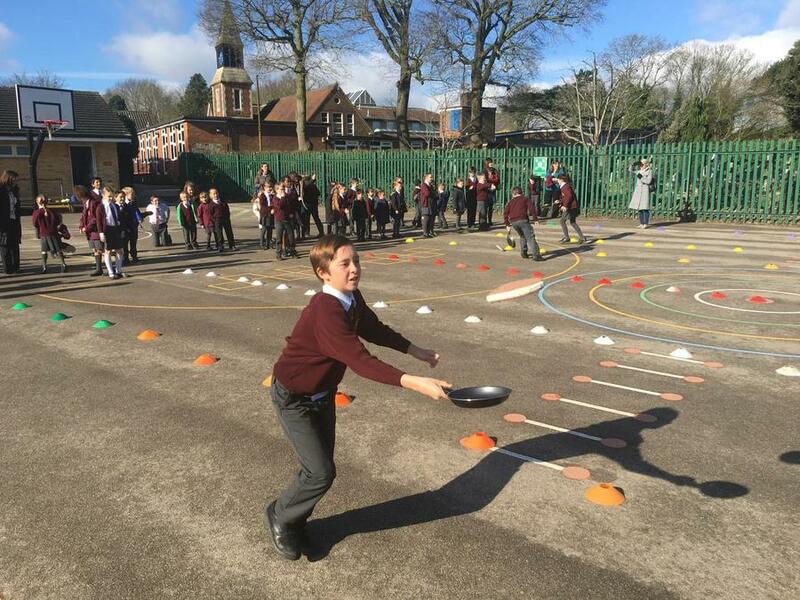 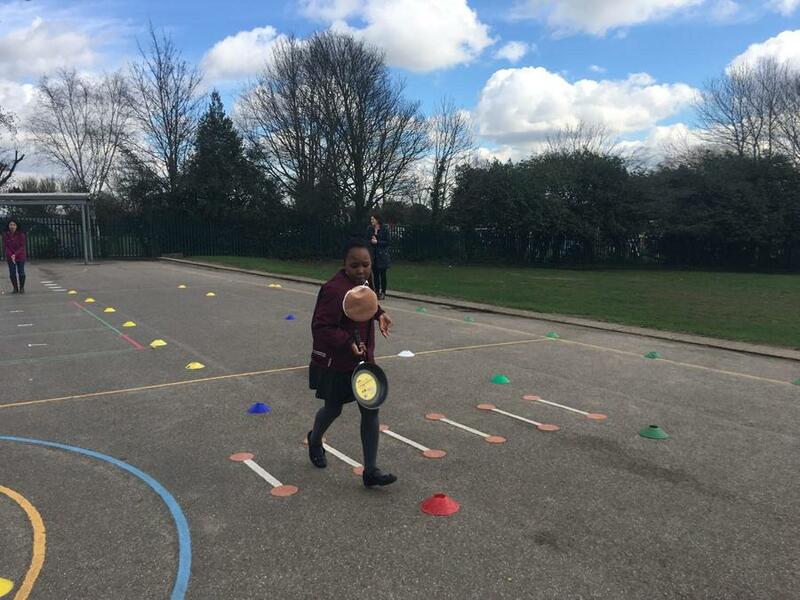 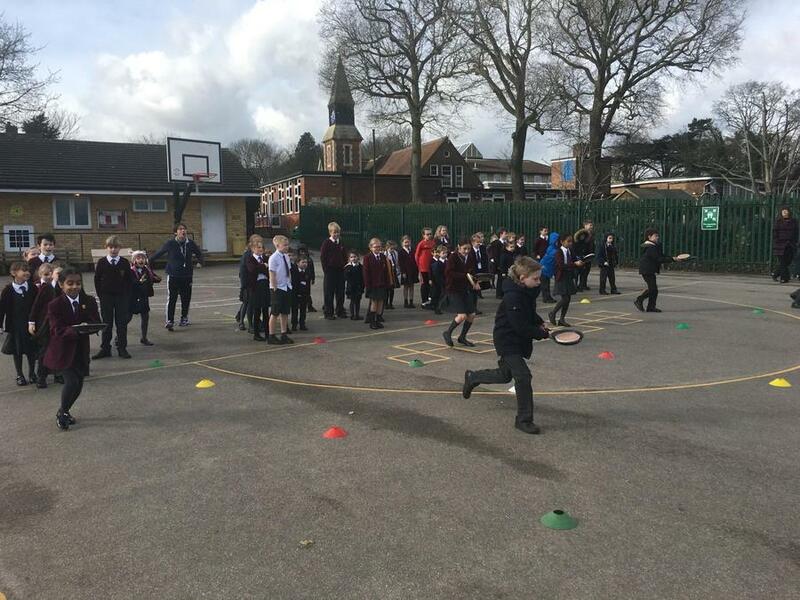 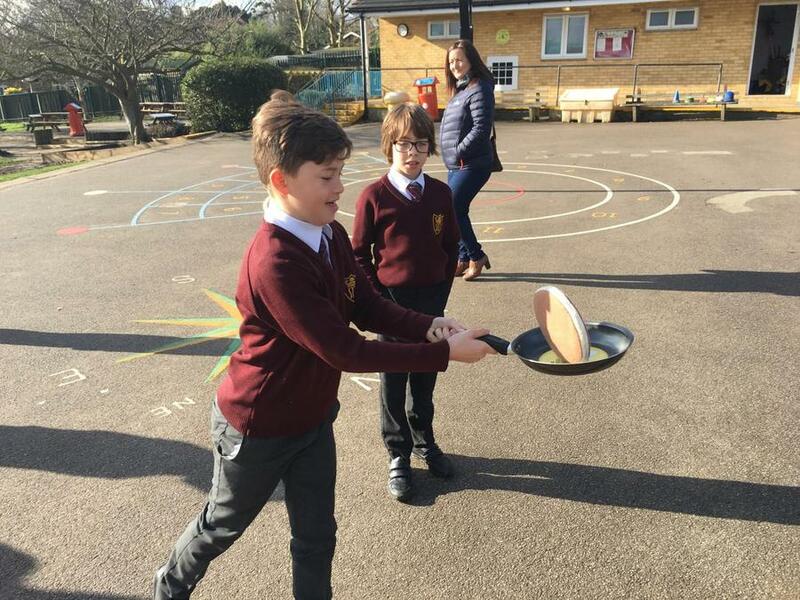 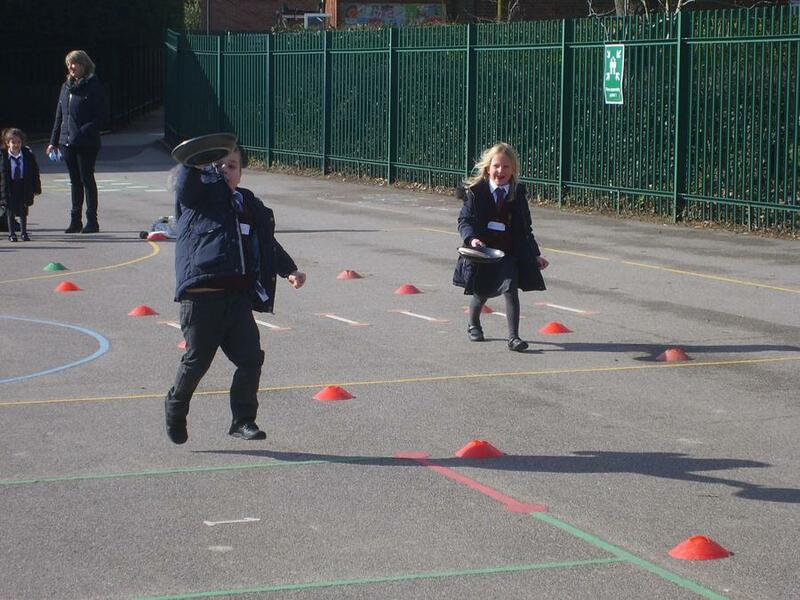 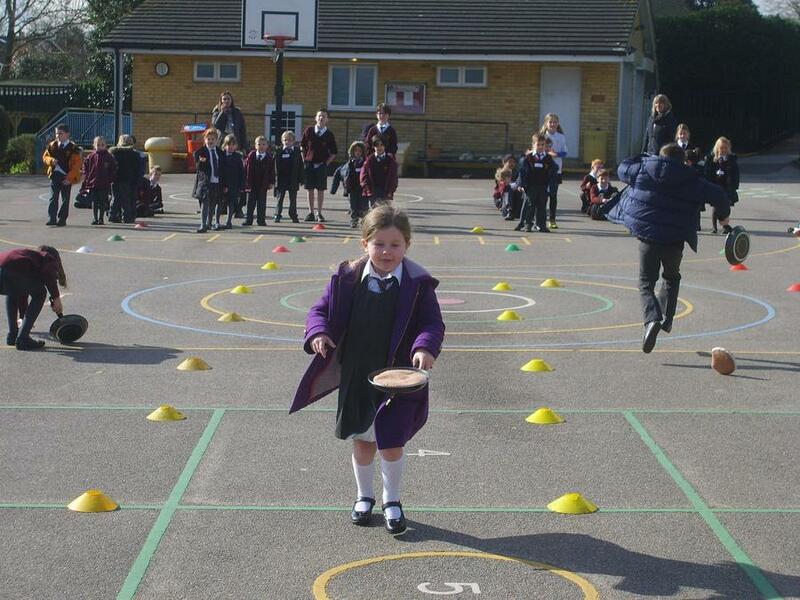 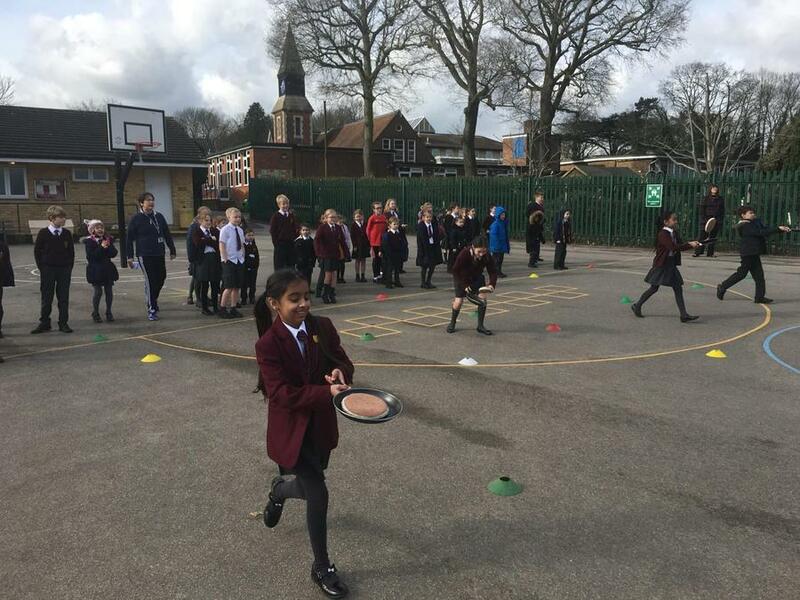 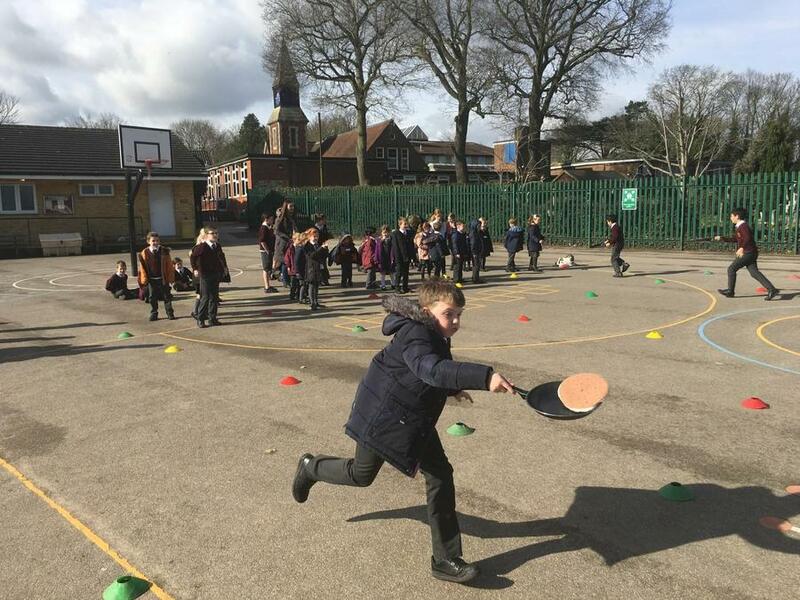 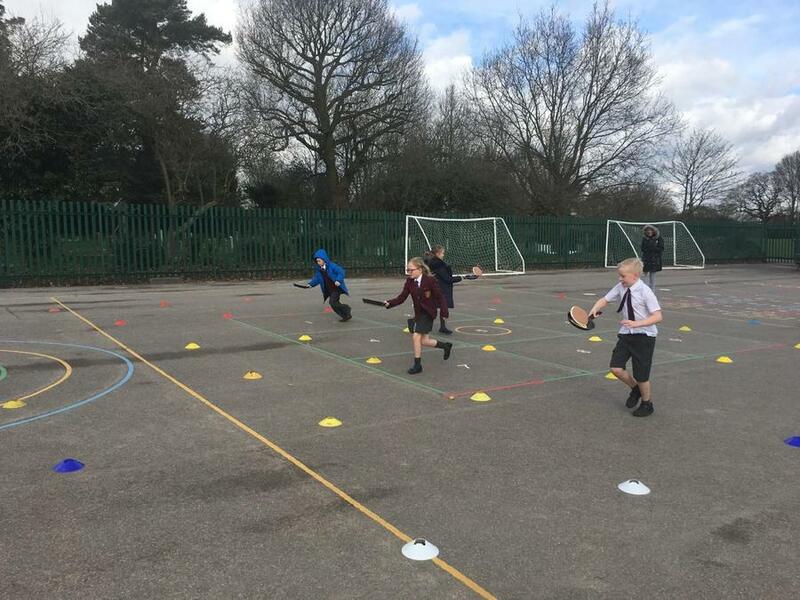 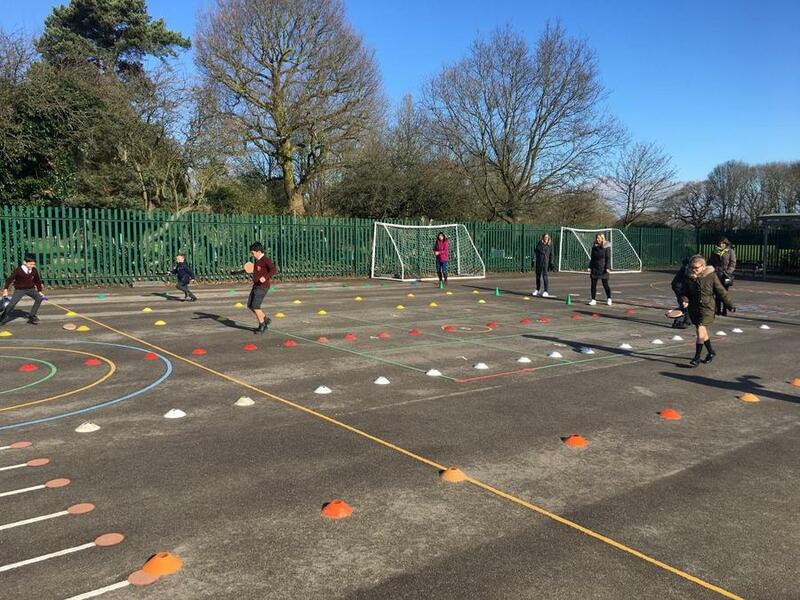 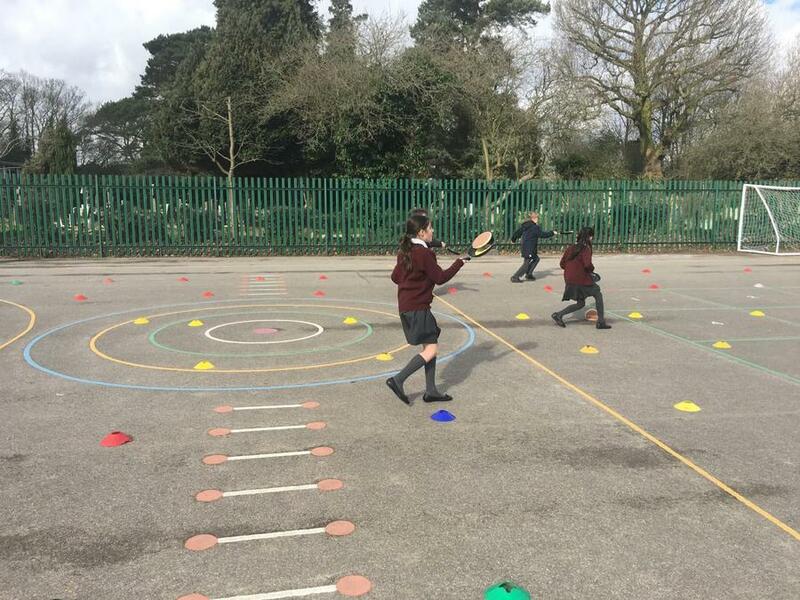 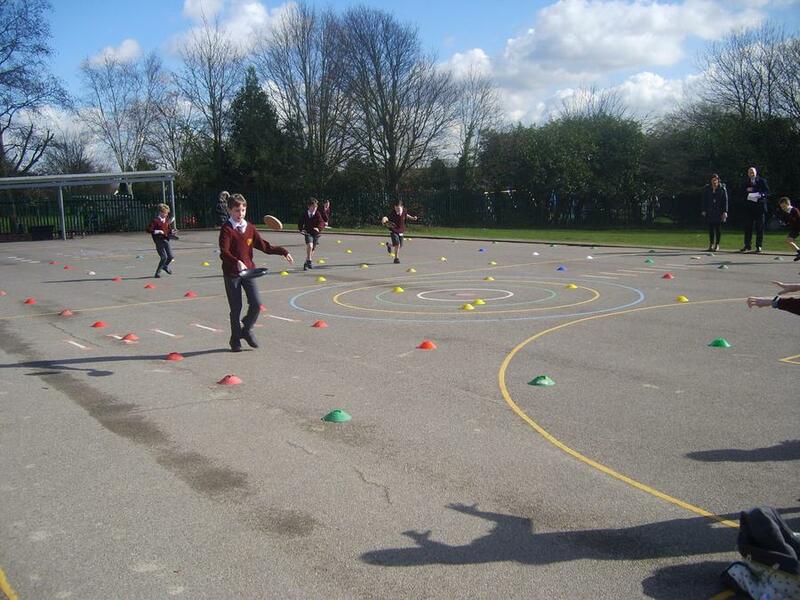 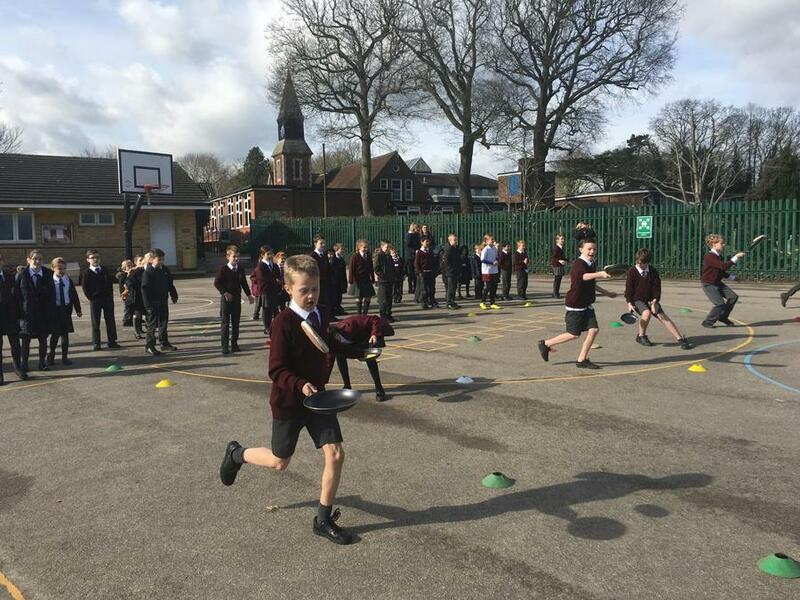 They have also all taken part in our annual Pancake Race event, kindly organised by our PFA. 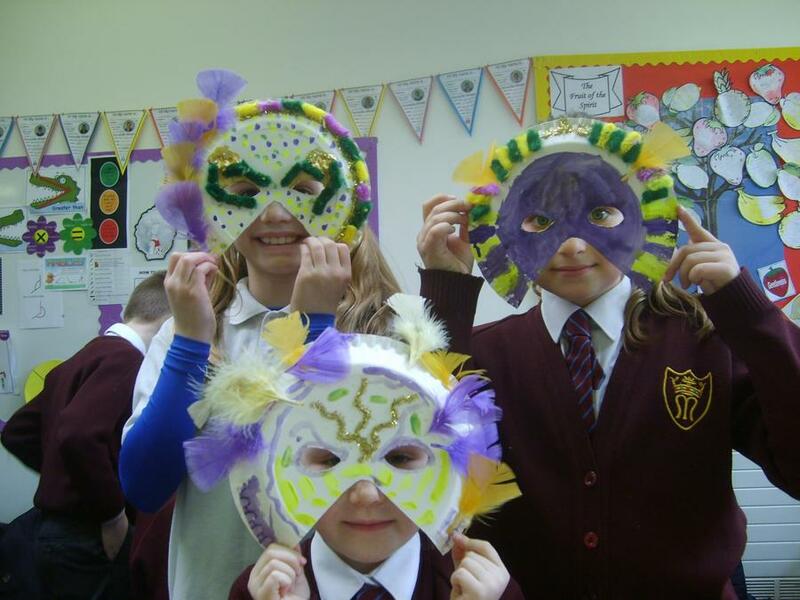 Here is a little information about Mardi Gras, which is a French term that literally means 'Fat Tuesday'. 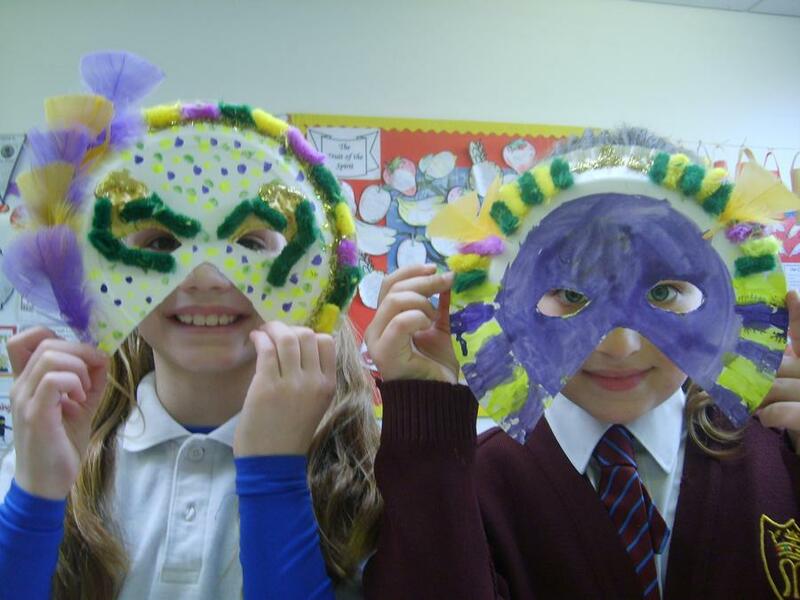 Mardi Gras has come to mean the whole period of activity, carnival season, between Epiphany or Twelfth Night and Ash Wednesday. 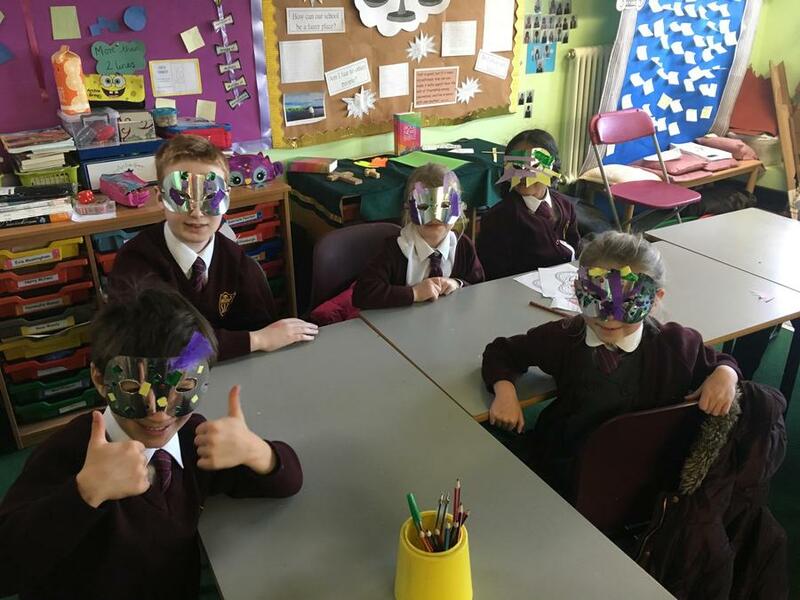 Cities that are most famous for their Mardi Gras celebrations include Rio de Janeiro in Brazil, Quebec City, Quebec in Canada, Mazatlan, Sinaloa in Mexico and New Orleans in the United States. 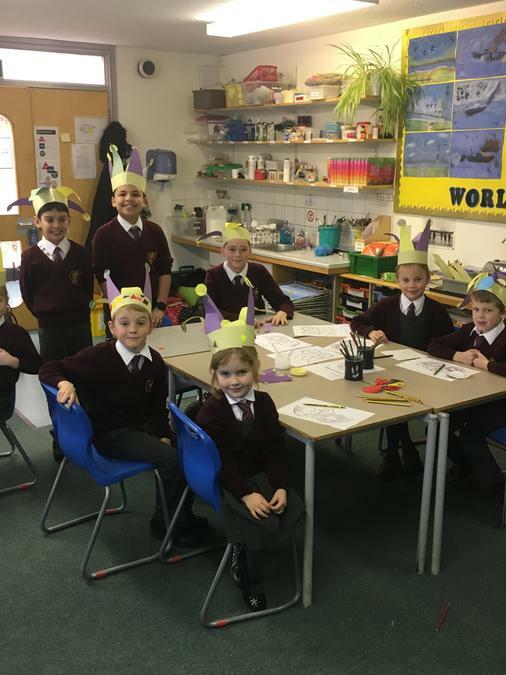 Many other places have important Mardi Gras celebrations as well. 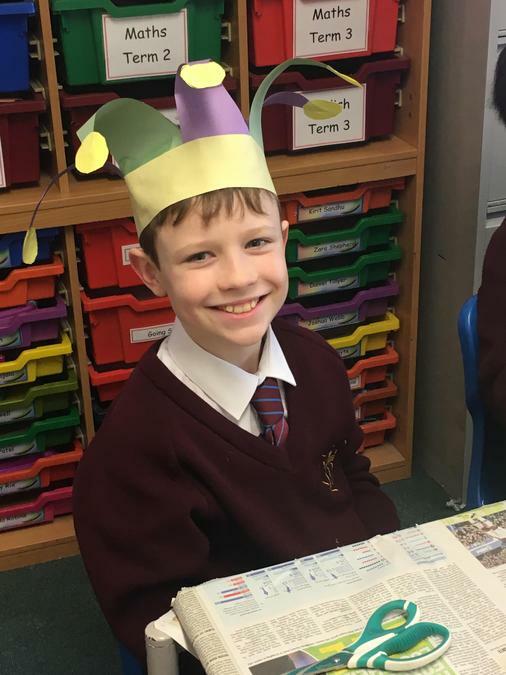 Carnival is an important celebration in most of Europe (except in Ireland and the United Kingdom where the festival is called “shrovetide” ending on Shrove Tuesday or “Pancake Day“, and pancakes are the tradition) and also in many parts of Latin America and the Caribbean.